Vision Works Lead Gener8or signup form. 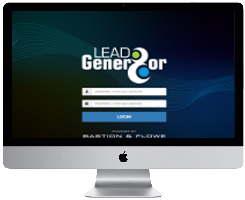 Home » Products » Lead Gener8or™ » Vision Works Lead Gener8or signup form. Information that will be presented on the invoice. Required for the verification details and the reports. If you require any assistance, please contact our help desk.